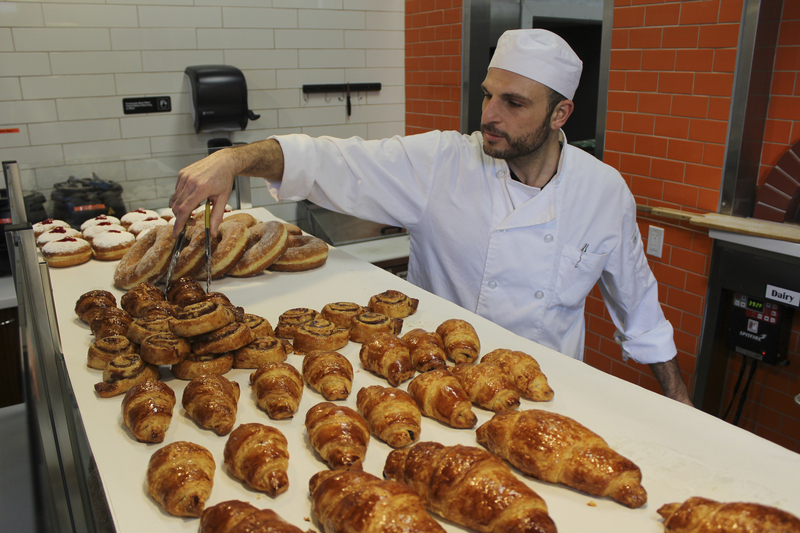 Grand Bakery now in the bagel business; Metropolis no longer kosher; restaurant closings – J. 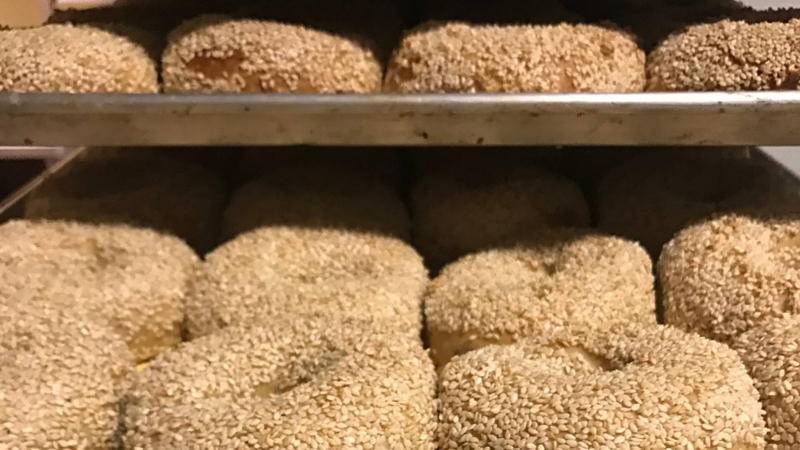 Last fall, Grand Bakery started making its own kosher bagels and holding pop-ups on occasional Sundays, when customers could come to the production facility in Oakland and buy a dozen bagels along with a shmear and lox. Earlier this month, the pop-ups became a regular thing, and now are being held on the first Sunday of the month. The next three are on March 3, April 7 and May 5. But Grand’s entry into the bagel market has another newsworthy note: Jason Scott, who owned Authentic Bagel Company in Oakland’s Jack London Square for seven years, has come on board in a new partnership with Grand owner Sam Tobis. And he brought his bagel recipes with him. “It’s the new bagel brothers from different mothers. Red Sox vs. Yankees, Authentic keeps it rolling with Grand Bakery. Let the world know,” Scott said. Scott comes from a Jewish family in Rhode Island where his grandmother made her own bagels. The Authentic recipe was a derivation of hers and one that Scott found online from the 1800s that used sourdough starter. He said that at Authentic, which was open from 2012 to 2018, he continually tweaked the recipe, and he’s made even more changes for Grand’s bagel. Scott initially went into Authentic with his brother Mark and an additional partner, but ended up running it solo for the last few years. Some customers thought their bagels were the closest thing the Bay Area had to a New York bagel. Tobis told J. that beginning in March, four varieties — plain, sesame, poppy and everything — will be available in retail locations (check grandbakeryoakland.com for updates), sold in bags of three. 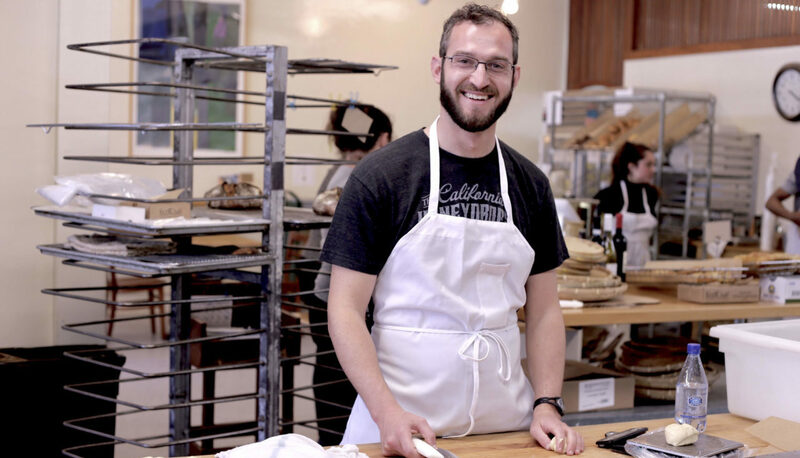 These moves definitely fill a kosher void, especially in light of the news that Berkeley’s Metropolis Bakery (see below), which also makes wholesale bagels, has new owners and is no longer kosher. The monthly pop-ups will continue from 8 a.m. to 1 p.m. at Grand’s Oakland facility, located at the Food Mill, 3033 MacArthur Blvd., where bagels will be sold in bulk (until they run out) and lox and cream cheese by the pound. Customers can also order sandwiches, drinks and sweets to go or eat on-site. Metropolis Bakery, which for the past decade has provided the Bay Area’s kosher community with a line of products, is no longer kosher as of Feb. 1. Owner Robin Alexander sold the Berkeley-based wholesale business after he got an offer and felt the timing was right. When Alexander went from head baker to bakery owner in 2010, making Metropolis kosher was a priority for him. “I grew up in a Jewish family, and I have a great respect for the Jewish community,” Alexander told J. in 2010. His parents are Fran and the late Ernie Alexander, pillars of the East Bay Jewish community. Alexander stressed to the new owners that keeping certain kosher products was important to him. “I fought for it till the bitter end, but once you sell a business, the buyers can do whatever they want,” he said. 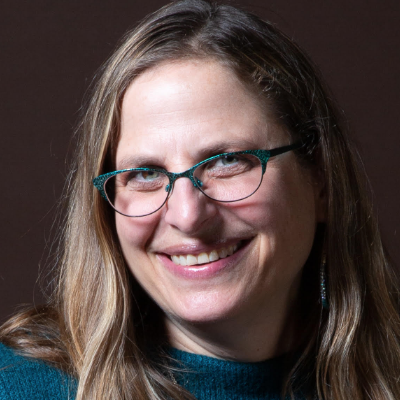 Rabbi BenTzion Welton, supervisor of the Vaad HaKashrus of Northern California, said the decision to drop the kosher line was a practical one made by the new owners, who are not Jewish. While they were willing to experiment and even brought in a kosher cheese for the dairy line, ultimately the effort proved to be too expensive and there didn’t appear to be enough demand. Welton said while the owners don’t rule out returning to kosher supervision, “we’re not holding our breath.” With so few kosher businesses in the Bay Area, it’s definitely a loss for the kosher-keeping community, he said. Two Jewish-owned San Francisco restaurants announced their closures this month. The Perennial, which sought to be the most sustainable restaurant in the country, closed after three years so its owners, Karen Leibowitz and her husband, Anthony Myint, could continue their efforts fighting climate change without worrying about losing money with the restaurant, the couple told the San Francisco Chronicle. They also own Mission Chinese Food. Leibowitz and Myint plan to invest more time in their climate-change initiative, the Perennial Farming Initiative, and continue advocating for ways that restaurants can be more sustainable. Also, The Board, a side project of beloved sandwich institution Deli Board, closed exactly a year after it opened. Deli Board, which features “Romanian pastrami” on its menu and has a sandwich called the Gold-n-Berg-n-Stein, is reaching its 10th anniversary and owner Adam Mesnick is looking to move from the Folsom Street location into a larger space.